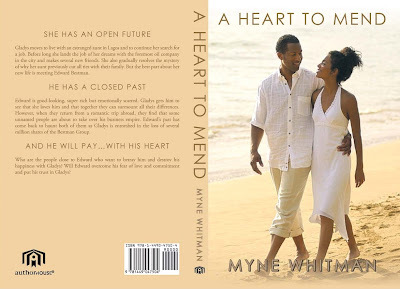 Myne Whitman grew up in Enugu, Nigeria, studying a lot, reading everything she could lay her hands on, and playing the rest of the time. She describes herself as friendly, caring and fun-loving. Though quiet and laid-back, she likes a good debate once in a while. 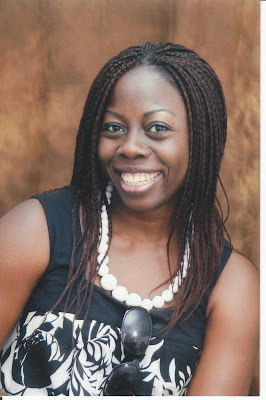 She has been a teacher, NGO consultant, banker, skate-hire attendant, researcher and Scottish government worker. After a postgrad degree and a few years in Edinburgh, Scotland, she now lives in the United States with her husband. More information is on her Blog, Facebook and Twitter. yaaaay another Nigerian contemporary author, I love it! As much as I love our critically acclaimed authors, who write about really deep meaningful, thought provoking educational subject matters, sometimes I just want to pick up a book and be entertained by characters who I have something more than the color of my skin in common with. I will be ordering this book now. Congrats to the author, I hope another one is its way already. Thank you Linda, I almost missed this! but what the fekking fek with all these 'proper African' looking female authors, using 'oyibo african looking ladies as their cover picture? Sefi Atta is amazing, she has won so many awards. every good thing will come is a great book every one should read. and sefi atta is definitely amazing.